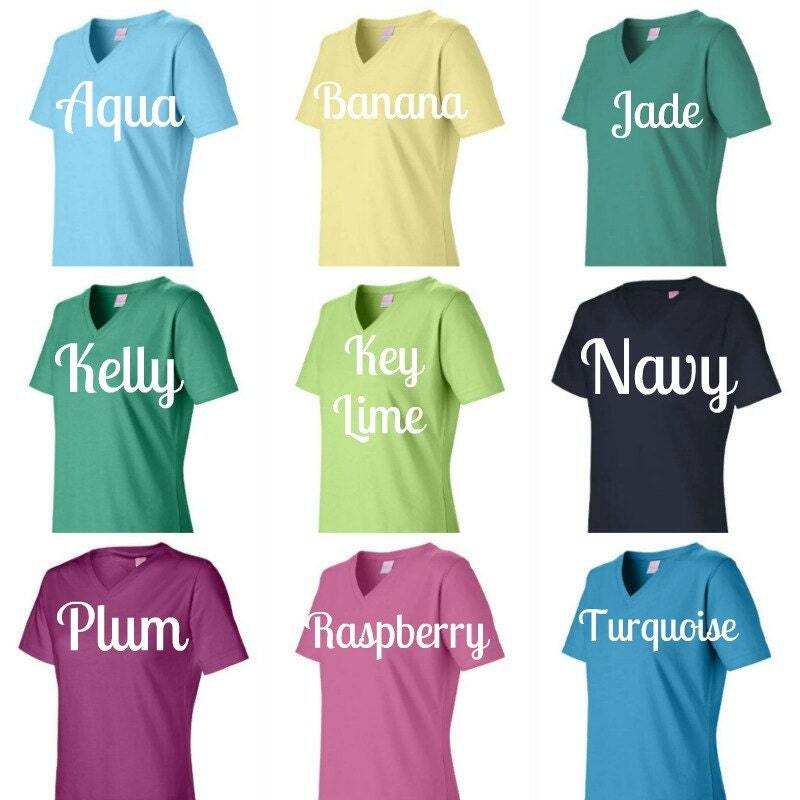 The perfect update to a classic v-neck t-shirt. 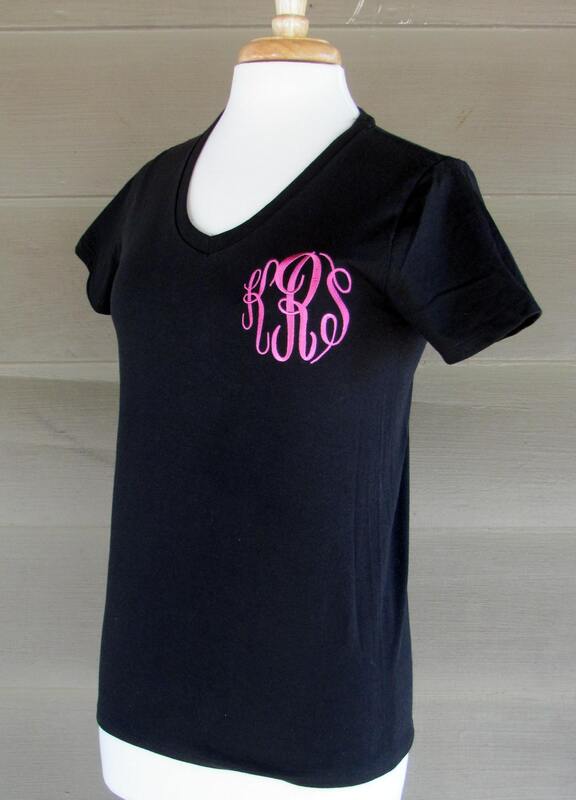 Shirt is monogrammed with either a 3 letter monogram or single letter. 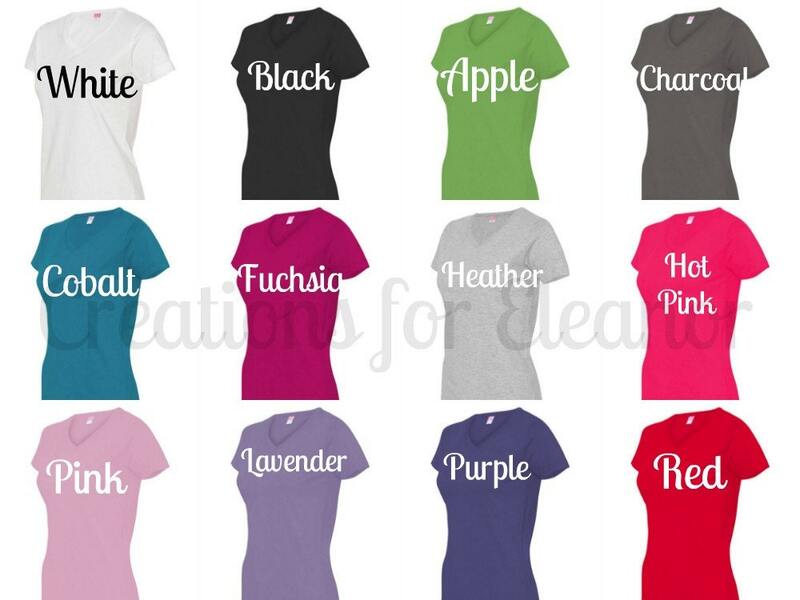 4.5 oz., 100% combed ringspun cotton. 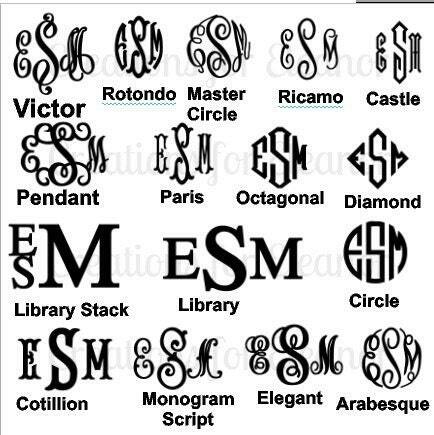 Monogram is done on left chest. 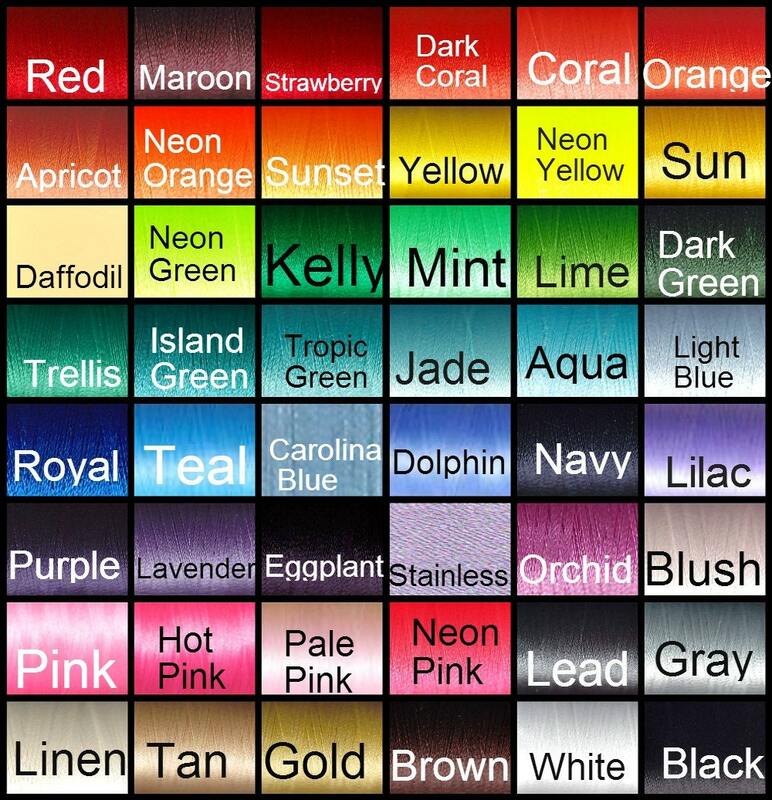 Font colors are purple (shown) lavender, hot pink, pale pink, bright turquoise, aqua, royal blue, navy, light blue, yellow, light yellow, lime green, emerald green, light green, red, black or orange and many many more.